This past weekend I celebrated getting older, 58 to be exact, and I hate to celebrate only so I invited several of the guys over for a cookout, drinks and, of course, cigars. One of my buds came early to help set up and brought a nice bourbon with him, I was supplying cigars for the gang. Ribs, ribeye’s, sausage and chicken was on the menu and after getting the grills set up I planned on getting some of the meat ready when my buddy walked outside with a drink in hand and said, and I quote, “Sit down, I got it, its your day off.”. I was not going to argue the point. So grabbing a chair and taking a seat we chatted as he prepped the grills then went to get the different meats ready. 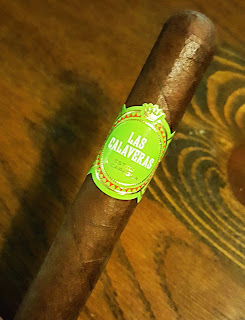 I decided to start the party with a Crowned Heads Las Calaveras 2018. The cigar is a work of art to look at and the bold band stands out against the succulent dark chocolate brown wrapper. The pre light aromas are woody and slightly sweet, with a tinge of spice and a hint of sweetness.Punched and lit, the initial hit of spice that I so enjoy was there bursting forward to ignite your expectations. A quarter of and inch in and the spice eases a tad as the blend marches in. 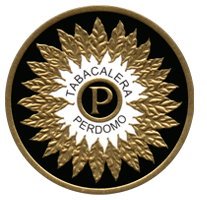 This cigar does not slow down nor back up as it produces wave after wave of divine tobacco flavor. Dark earth comes in swirling in a mixture of spice, oak and roasted nuts with a faint yet visible sweetness reaching from the background. The smoke is a paint brush creating Rembrandts on the palate as each draws show variations of the flavors produced. Some of the other friends, or clowns, I know began arriving and each bringing bottles, things for the grill and much humor. The usual pranks, jokes and idiotic good natured humor that comes from this gathering never takes long to ensue, in fact it had already begun when one ask another to retrieve something from his truck and was met with a loud surprise, I wont elaborate. Cigars were being lit and drinks being poured as items were being placed for cooking. 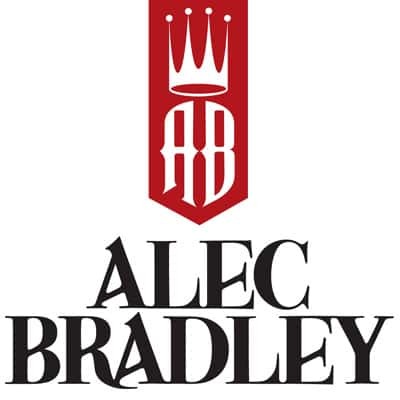 The combination of aromas from the cigars and grills make for a marvelous day. Side note, its funny how every time a patrol car passes buy, this group all get silent and still. Oh well. Moving into the second third the flavors the oak is now smoky and the dark earth richer. The roasted nuts are morphing into a roasted coffee bean variation with the spice enveloping the melding of flavors. The mild sweetness reaching through before was now more evident and brings thoughts of molasses candy in similarity. Its not a bold sweetness nor profound but intertwines delicately in the blend. 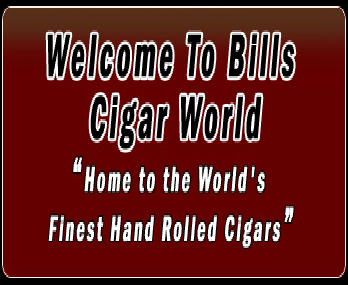 This cigar is a dream of a smoke, each draw filling the senses and the smoke leaving a velvety feel. This is one of those days you don’t care how much of a dent is put in your cigar supply because after all that’s one thing cigars are for, to share the good times. As the smell of the grills are flowing throughout the yard, laughter, music and smile are seen with everyone enjoying. I sit with four of these clowns as I move into the final third of this fantastic cigar. The flavors are bolder, the smoke thicker and smooth, as roasted coffee bean and smoky wood are wrapped together with the sweetness and now hints of vanilla toffee dancing far off. The spice is more bold at the last draw. Magnificent. The Las Calaveras 2018 is an astoundingly great cigar to smoke and if you have yet to try it, by all means do so and see what you receive from it. As for me, I plan on getting more. Gators Place. Travel theme. Powered by Blogger.